India is home to one of the largest developer communities in the world, and has been attracting the attention of several global players for years. Google, Yahoo, Microsoft, and Facebook, along with HasGeek, Helpshift, and Thoughtworks have long been actively contributing to foster the developer community in India, holding various events and going to college campuses to find and coach talent. One major player, however, was missing from the list for the longest time, and it was the company that thousands of developers in India were anxiously hoping to talk to, and get feedback from: Apple. With just under half-a-million registered Apple developers in the country, India is among the most active markets when it comes to making apps for Apple’s platforms, but the iPhone-maker took its time before getting involved with the local ecosystem in a meaningful way. Things started to change earlier this year, when Phil Schiller, Apple’s senior vice president of worldwide marketing, flew to India to officially kickstart Apple’s App Accelerator – a first-of-its-kind initiative, in namma Bengaluru. More than three months later, the company’s efforts are starting to shape up. Gadgets 360 spoke to many developers who have signed up for the App Accelerator, and they are pleased with how things are going so far. Registration to the App Accelerator – which is capable of hosting 500 developers per week – as well as attending the sessions, is free and open to everyone. At the App Accelerator sessions, which range between two to four hours, “evangelists” from the company are getting developers up to speed with the newest technologies, and guiding them to improve their apps and make the best out of the available resources. Developers told Gadgets 360 they get to understand what new technologies Apple specifically recommends they target, with SiriKit being one such example. That’s a big and helpful change, developers say, because Indian companies often take long time in leveraging new features Apple introduces. Only a small number of companies have shipped any iMessages extensions, for instance, even though the company announced support for extensions in Messages last year. “We generally take around two years on an average to integrate company’s new frameworks,” Prasad, a Bangalore-based developer tells Gadgets 360. “We typically wait to let people first get the latest iOSupdate, and only then we start working on implementing new frameworks,” he added. These pitches are in line with Apple’s vision for the developers in the country. 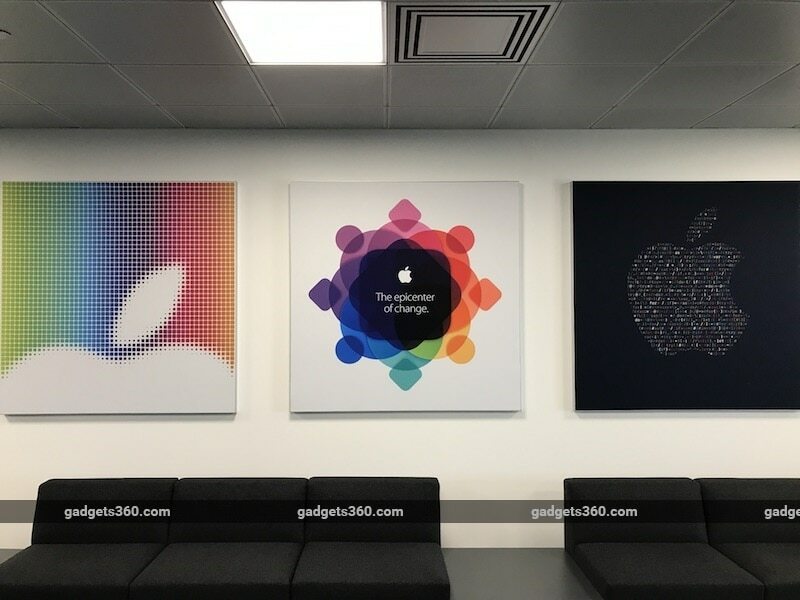 Speaking to Gadgets 360 at the launch of the accelerator earlier this year, Schiller said that the company wants to guide Indian developers about the latest technologies on Apple’s platforms. “Here we give a greater opportunity for the developers in the market to learn about these innovations quicker, play with them, experiment with them, understand how they can best use them in their apps, I think that can help them to make more innovative apps, quicker than if we weren’t here,” Schiller had said. The most crucial advice that developers have walked out of the campus with, they tell Gadgets 360, has been to reconsider their target audience. The evangelists have told them to make apps that serve to the needs of the local market, instead of focusing their energies in chasing the Western audience. “What will work in the US or elsewhere may not work here. Don’t copy any app. Try to think of your own use case and your users’ needs. Study other apps but be original,” Mayur, a Delhi-based developer recounted Apple’s message. Even as there are feedback sessions and opportunities to have one-on-one interaction with experts at the App Accelerator, the overall environment is very disciplined, five developers told Gadgets 360. That’s not to say that they don’t make jokes. There is a running joke among many evangelists that developers should only focus on Apple’s platforms (and avoid Android, and other rival platforms). Though some developers said that the message is more than a joke, “Apple would really like if you stick to its ecosystem,” a developer said. As Apple pushes to find its next big market in India, the company would need the help of these developers. Apps that cater to the local market, leverage new technologies, and are built with right coding practices could create the best user experience for Indians. To further incentivise the developers, Apple tells them that it wishes to see an Indian developer win at Apple Design Awards (ADA), the annual WWDC fixture that recognises the best and most innovative iOS and Mac apps. So far, these awards have been mostly won by developers in the US and Europe. “They are looking to mentor Indian devolopers so that even we make great apps for India,” Paul, a Bangalore-based developer who has enrolled at the App Accelerator told Gadgets 360. No Disrespect But Did Apple Change the World?